Great to try some unusual wines that actually reflect Southern Highlands terroir very well. Due to the cool climate and altitude, this area tends to grow a lot of European style grapes and white varietals extremely well with stunning clarity. Went to four wineries with over 40 wines tasted on this day which provided More Than Enough on interesting tastings and we were thoroughly busy on the tour. Out of about 20 of us, many hadn’t been to Southern Highlands before so it was interesting. Great lunch too at Berrima. Strongly recommend Magpies cafe, Berrima Pub and Bakeries – although I’m guessing the other food places are great too! Below are the wines tasted (although I’m not sure if I’ve included all! ), and my personal description/opinion of the wines. Most were very enjoyable, pleasant, and elegantly structured due to the cool climate and grapes chosen to be made into wine. 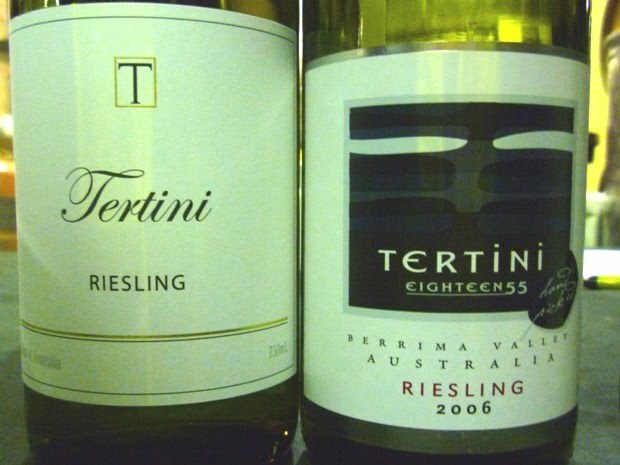 Wines in italic are less-common or lesser known Australian wines. Riesling 1855 2006 – Another stunning riesling. Beautiful complex fruit balanced with fresh mineral acidity. Arneis 2009 (Stainless steel) – ARNEIS is a very finicky grape and even when it looks like it’s going well in production it can suddenly change. A European grape, but even there, there were times when it was given up as a grape to produce because it was so unreliable. Now, Southern Highlands is doing it pretty well!! One of my favourite wines, although never tried an Arneis previously. I was surprised about how non-astringent in acidity this wine was for being racked in steel tanks as opposed to oak. With a powerful, yet not overpowering nose, it had a significant amount of fruit rounded by white grapefruit and peaches (on the palette too with almonds or something wholesome and luxurious of character). 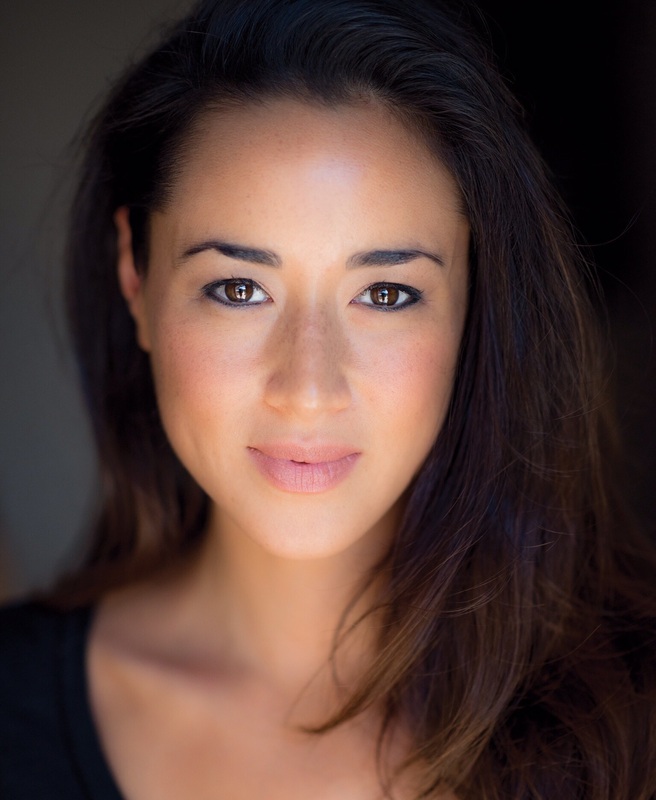 Approachable and complex at the same time. Arneis 2009 (Barrel fermented) – Less fruit than previous, and still well rounded acidity and fruit with a slight hint of herbs. Lovely. Pinot Grigio – Good, well made. Rose – Good structure. Deep ruby in colour, on taste very lively and crisp. 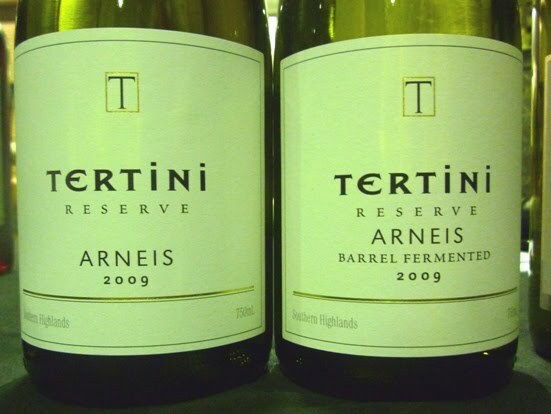 Pinot Noir Tertini Reserve – Perhaps a little young, but had full structure. Pinot Noir1855 2005 Berrima Valley – Really enjoyed this. Great drinking now. Earthy nose, deep well rounded character with smooth finish. 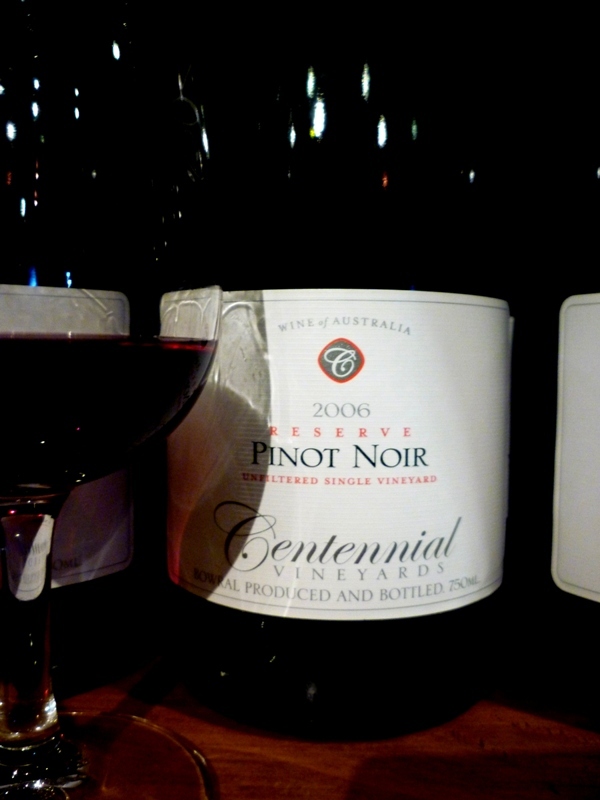 Pinot Noir – 2006 Southern Highlands – Really enjoyed this. Earthy with ripe, bright fruits. Shiraz/Cabernet Sauvignon/Merlot – Southern Highlands 2008. Cabernet Sauvignon 2005 – blend of Southern Highlands and Barossa – beautiful wine, except may be phased out as Tertini want to specialise in the wines’ reflection of the region/terroir. Noble Riesling Reserve 2008 – Dessert wine, not as sweet as many, which was nice and refreshing to taste. Stunning area, building and gardens. Large scale winery in Southern Highlands. Huge range of wines with over 30 wines available. 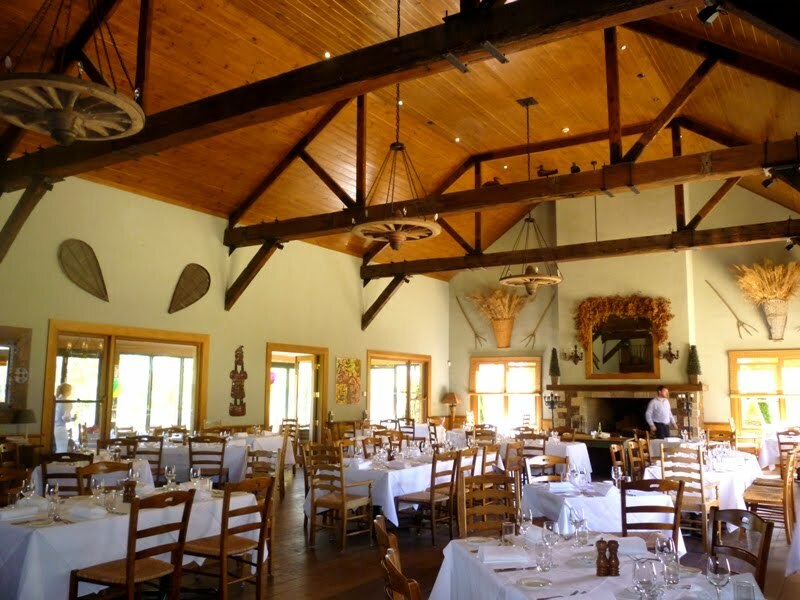 Beautiful restaurant adjoined with a warm feel to the whole place. 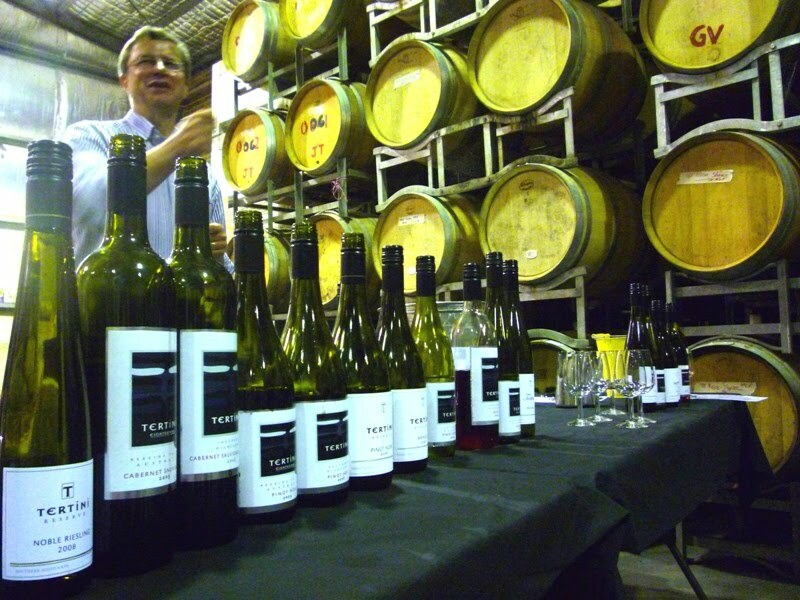 Many of their wines were full flavoured with acidic structure, most with cellaring potential, especially for the reds. A great focus on single vineyard wines. Sparkling Chardonnay Pinot – Basically as dry (less sweet) as you can get in Australian sparkling whites. Well made with aromas of hay, yeast and crisp acidity, tastes very dry with great mineral acidity. Sauvignon Blanc Woodside 2008 (single vineyard): First tried while it was still in it’s tank and cloudy – acidity at start of the palate was almost fizzy, but on the nose everything was of a completed Sauv Blanc. Chardonnay Woodside Winery Block 2008 – Grassy and fresh open citrus on the nose but with baked yeasty bread or even nuttiness. Good mineral acidity and stone fruit combined well on taste with custard tart, with pleasant length. Elegant. Savagnin 2009 Woodside – Previously hadn’t tried a Savagnin before, was pleasantly surprised! Temperamental white wine grape to grow, with relatively low yield. Lovely acidity, fruit and nuttiness. Pinot Noir Woodside Unfiltered 2008 – Light, perfumed and delicate but slightly restrained fruit (such as small berries and blackcurrants), with spicy characters, smooth tannin. Dark crimson in colour. Pinot Noir Reserve Single Vineyard Unfiltered 2006 – Beautiful dark earthiness (“forest floor”) on the nose with underlying old fashioned oak. Full plush flavour with spice such as cinnamon, herbaceous characters, tobacco and hints of dark chocolate. Smooth leathery tannins accompany. Crimson-brick red in colour. Babera Reserve 2008 Single Vineyard Unfiltered – Really enjoyed this. Pleasant with good body and not-too-heavy spice – Complex nose with many berry fruits and dark chocolate, Great rich flavour, well structured but soft, Velvety but clean finish. Fantastic with tapas or other food where the wine and food would make each other stand out more. Nice clear rim/edge on the wine. Shiraz Viognier Reserve 2006 Single Vineyard – highly perfumed nose. Pleasant. Cabernet Sauvignon Reserve 2004 – Aromas of ripe small berries and mint, rich mouthfeel with a touch of leather, can cellar further. Autumn Late Harvest Chardonnay 2008 – Dessert style wine, made well. Tempranillo – Would love to try theirs on next release. 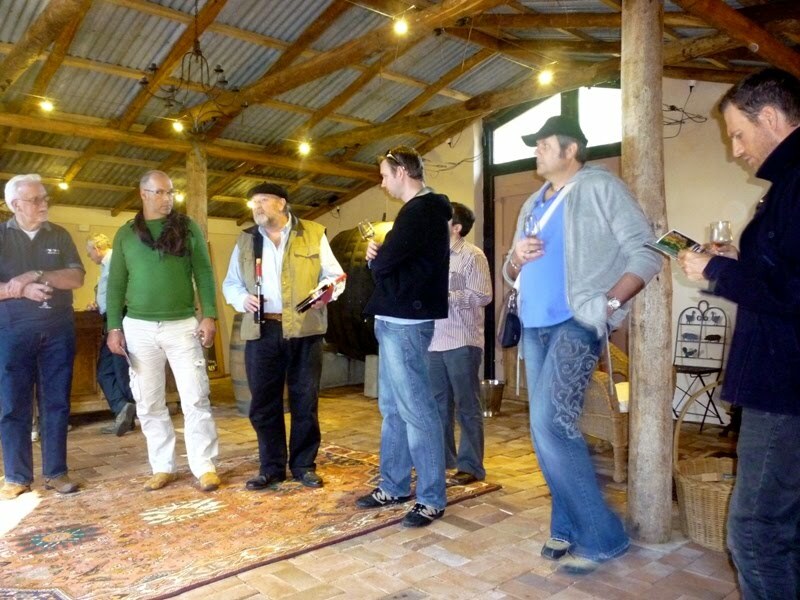 The oldest winery and vineyard in Southern Highlands! Humble. Friendly and enthusiastic. Husband and wife both run the winery. Beautiful and unpretentious cellar door. They often also have bands that play there such as Jazz music (info on their website) on a relaxing afternoon with food such as real wood-fired pizza and wine. Sauvignon Blanc – Tropical fruit characters and fresh acidity. Chardonnay – Lightly oaked with some stone and citrus fruit, and lime zest. Slight fragrant vanillin aroma and straw on the nose. 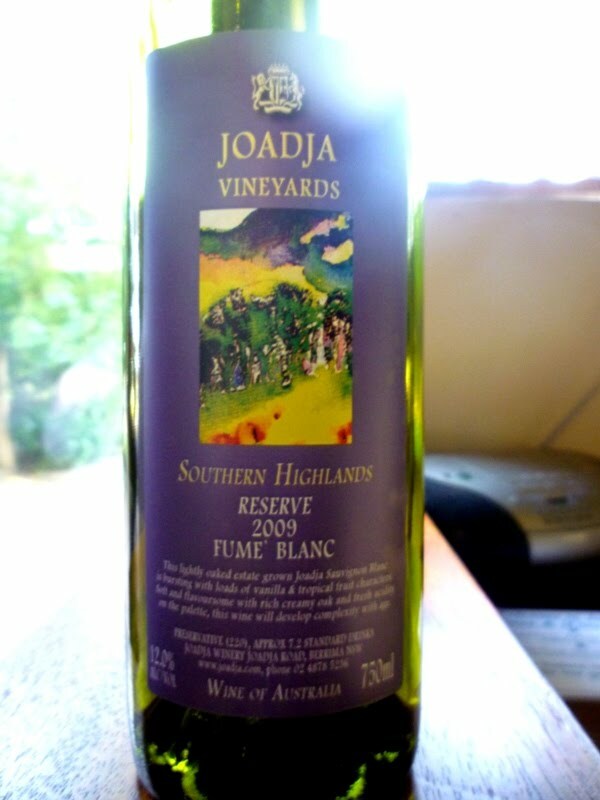 Fume Blanc Southern Highlands Reserve 2009 – Enjoyed this, fresh, zesty, lightly oaked and vanillin base notes that laid nicely on the palate as well as elegant French vanillin oak on the nose, with tropical stone fruit on the nose also. Good body, but refreshing and reasonably complex characters for it’s “zestiness”. Malbec Reserve 2006 – Made strongly keeping in mind the principles of weather, climate and timing on the wine and winemaking – and you can taste great characters that are well developed for a cool climate red, and generally smooth (not too acidic) but full body in this wine. Fragrant cherry and small berries on the nose and light oak, followed by a much more intense body of firm tannin and deeper more plush fruits and spice. Great drinking now but will cellar well also. Autumn Sauvignon Blanc – Dessert wine, in a normal 750mL bottle! About time! All those puny 375mL dessert wines run out by the second pouring and so if there’s a group of people drinking/eating, you may need to buy several bottles to get everyone served up properly, and that’s just a waste of glass/space/carry effort etc. The lady who conducted our tasting was confident and knowledgeable about the wines. Wine labels are attractive and clean but distinctive – Great wines that also look great in any restaurant or wine bar/dinner etc. Lovely cafe adjoining with good food. 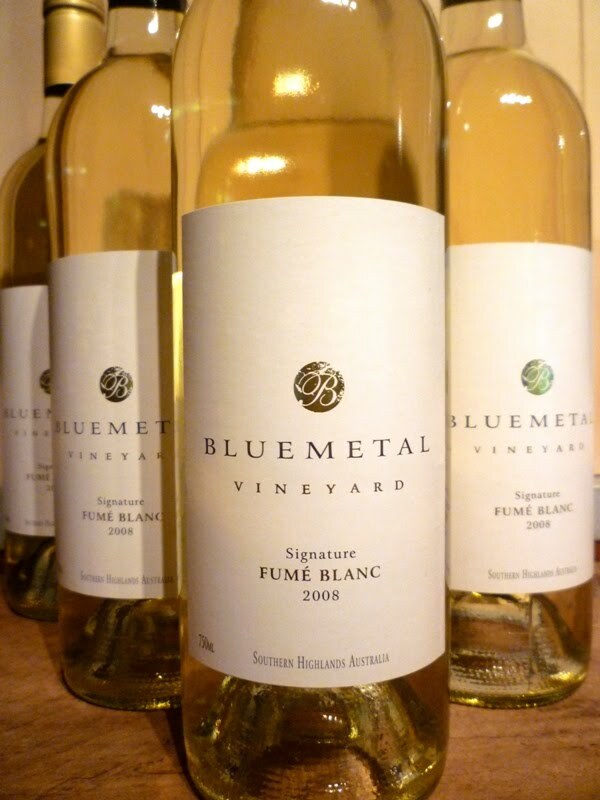 Fume Blanc Signature 2008 – Enjoyed this one. Didn’t know Southern Highlands could make this varietal so well. Great structure with lemon and grassy tones and good length. 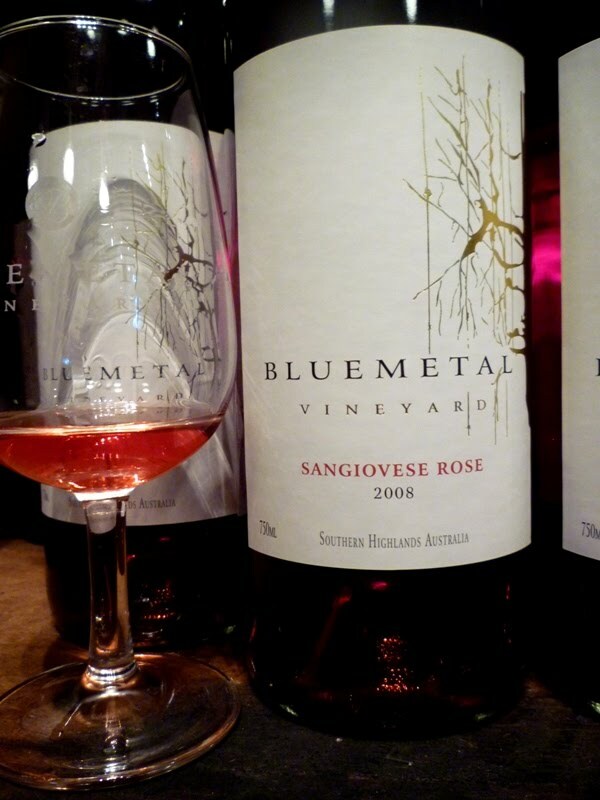 Sangiovese Rose 2008 – beautiful pink salmon colour – a sign of a good rose, as opposed to many cheap ones that are almost fluoro highlighter pink (and would give a nasty hangover too). Great stucture and lively acidity and bright berry fruit such as strawberries, laced with some spiciness. Good dry finish. 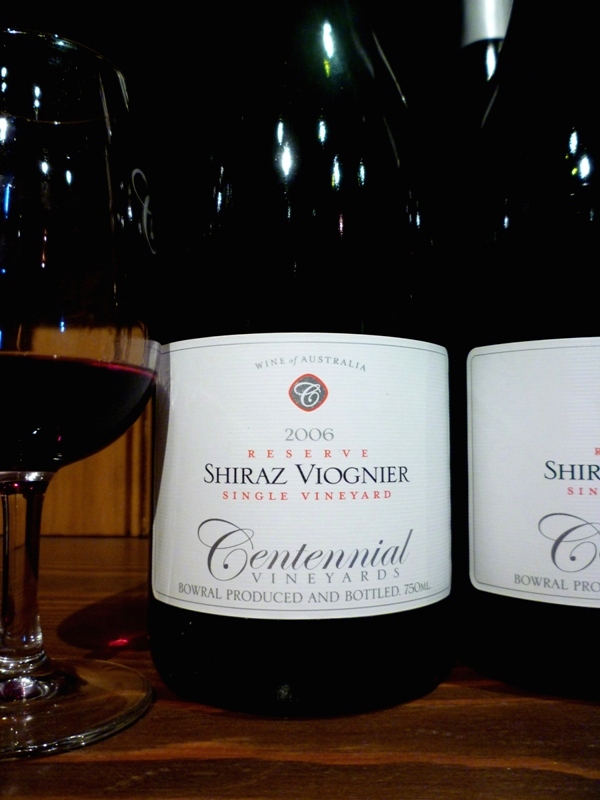 Petit Verdot Signature 2008 – Nice, dark but transparent crimson in colour. Fragrant nose. Great body – concentrated flavour, but lifted. Significant spice and berries. Cabernet, Merlot, Petit Verdot “The Cabernets” 2008 – Good structure and well chosen blend of wine, particularly for a cooler climate red. 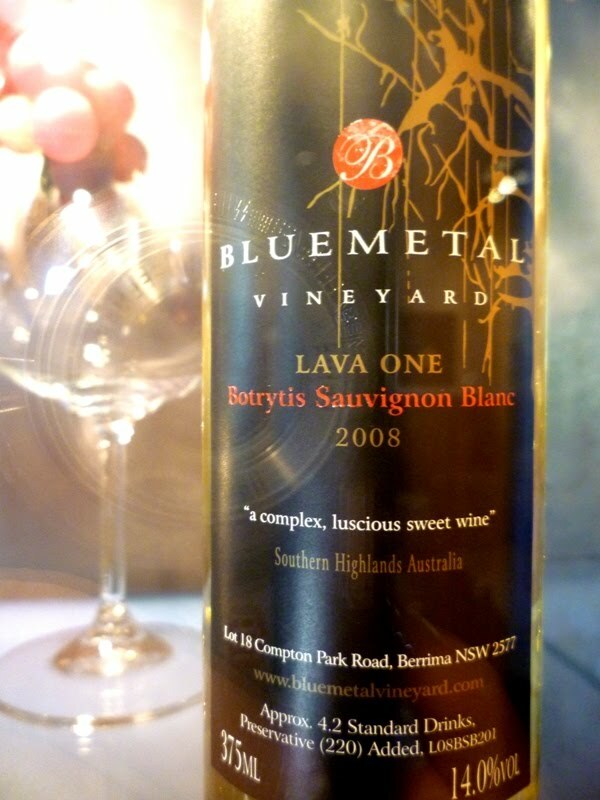 Botrytis Sauvignon Blanc “Lava One” 2008 – Beautiful dessert wine, elegant structure and complex palette. 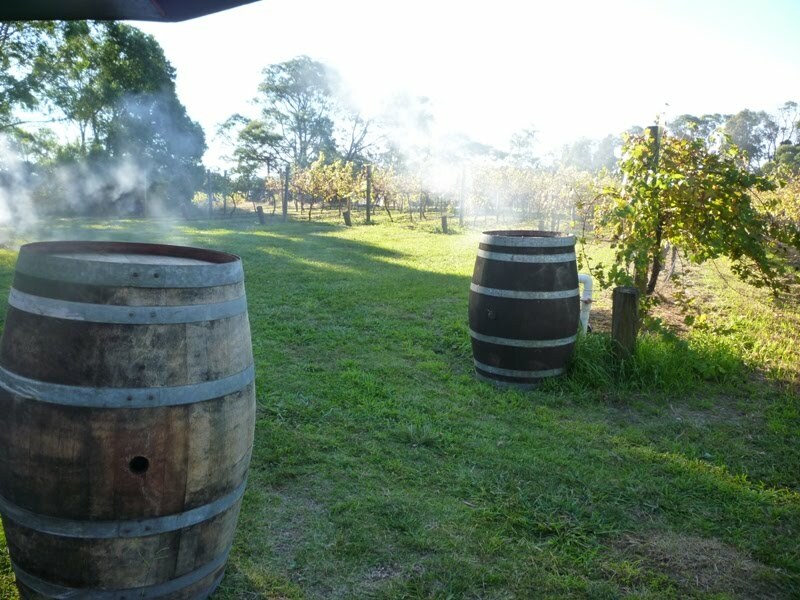 Hi Sarah,So glad you enjoyed some of the cellar doors in the Southern Highlands; The region is surprising a lot of people! Your reviews were excellent…We have 16 cellar doors down here now, and we're only an easy (90 minute)freeway drive south of Sydney on the M5. More information about the Highlands at http://www.southernhighlandfling.com.au"So close…A world away"
Wow, that looks like a lot of wine for one trip. I bet it was lovely. The Pinot Noir Berrima Valley sounds very good — I will look for it next time I'm wine shopping. Thanks Sarah!